Pierce's attorney said Pierce was caught off guard early Saturday when Burress somehow fumbled his gun and shot himself. 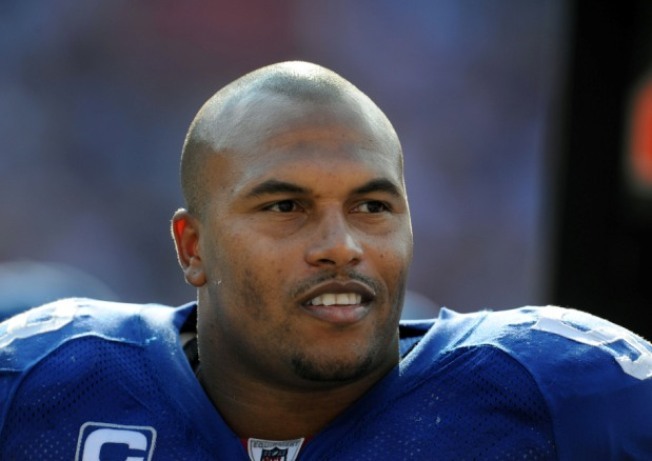 Antonio Pierce and the doctor who treated his New York Giants teammate Plaxico Burress after he accidentally shot himself at a Manhattan nightclub will talk to investigators Friday. Pierce and Dr. Josyann Abisaab will be accompanied by their lawyers when they meet with the authorities, NYPD Deputy Commissioner for Public Information Paul Browne said. It is unclear when and where the parties will meet. The authorities are especially interested in why neither Pierce, who drove Burress to New York-Presbyterian Hospital/Weill Cornell Medical Center, nor Abisaab called police to report the shooting early Saturday. Abisaab has since been suspended for not reporting the gunshot injury, as required by law. Police are trying to determine whether Pierce tried to cover up the shooting. They say Pierce returned to New Jersey with Burress' gun in the glove compartment of his black Cadillac Escalade, and investigators have impounded the SUV to search it for any blood or gun residue. Pierce's attorney said Pierce was caught off guard early Saturday when Burress somehow fumbled his gun — .40-caliber Glock — in the VIP section of a Manhattan nightclub and it discharged, hitting his right thigh. "He had no idea Plaxico had a weapon," attorney Michael Bachner said in a telephone interview with The Associated Press. And Bachner stressed the linebacker would cooperate with authorities and testify before a Manhattan grand jury about the incident if asked to testify, which has yet to happen. "Antonio has always taken a position that he will be cooperative in the investigation with law enforcement," Bachner said. "Should Antonio be subpoenaed to the grand jury, and we have no idea that is going to happen, but if he is, he is going to abide by his obligations as a citizen." Bachner did not immediately return a telephone message Thursday evening, seeking comment on Pierce's meeting with investigators. Pierce was in no mood to discuss the shooting incident after practice at Giants Stadium. Clad in a sweat-soaked gray pullover, the linebacker walked up to the wooden lectern, clenched the sides with gloved hands and spoke mostly about the Giants' game on Sunday against the Philadelphia Eagles. He insisted he won't be distracted with the Giants (11-1) on the verge of clinching the NFC East title and a first-round bye in the playoffs. "This is a big weekend for us," he said. "This a weekend that we can obviously clinch the NFC East, becoming champions of something, one of our main and most focused goals is to win our division and we have that opportunity this week." Being under the microscope isn't a problem, either, he added. "I am about as focused as I could be," Pierce said. "When distractions come up, you turn a negative into a positive and that is my option." The police, too, refuse to be distracted. They're eager to learn why it took so long for them to learn of the shooting. Giants spokesman Pat Hanlon said Thursday the team alerted NFL security about the shooting, leaving the league to alert police. The NFL said its security department then did contact police. But police say the NFL was not forthcoming about the shooting. Police said the NFL called a detective squad in upper Manhattan between 10:30 and 11:30 a.m. Saturday — not to report the shooting but to seek information on whether any 911 calls were made and whether Burress had been admitted to a hospital. The highest-ranking member of the police department called was a lieutenant, called at home around 12:20 p.m. Saturday, police said. By then, police were canvassing area hospitals — acting on media reports, not information from the NFL. Burress, however, already had been discharged. "The information we were provided was rumored reports of the shooting of Plaxico Burress being reported on ESPN and elsewhere, and not information provided by the NFL," Browne said. Pierce's attorney said the 30-year-old who is playing in his eighth NFL season took Burress to the hospital after the shooting. However, Pierce did not try to cover it up by registering Burress under a false name, Bachner said. "Other than bringing him to the hospital, he had no involvement in the administration process," he said. Bachner said he could not comment on a report that Pierce took Burress' gun to his home and later gave it back to Burress' wife, Tiffany. Without identifying names, police said they wanted to speak to anyone with relevant information about the shooting or the events afterward. Burress, who has been fined and suspended for the final four games of the regular season, has been charged with illegal weapons possession, a felony that requires a mandatory minimum 3½ years and a maximum of 15 years in prison if convicted.